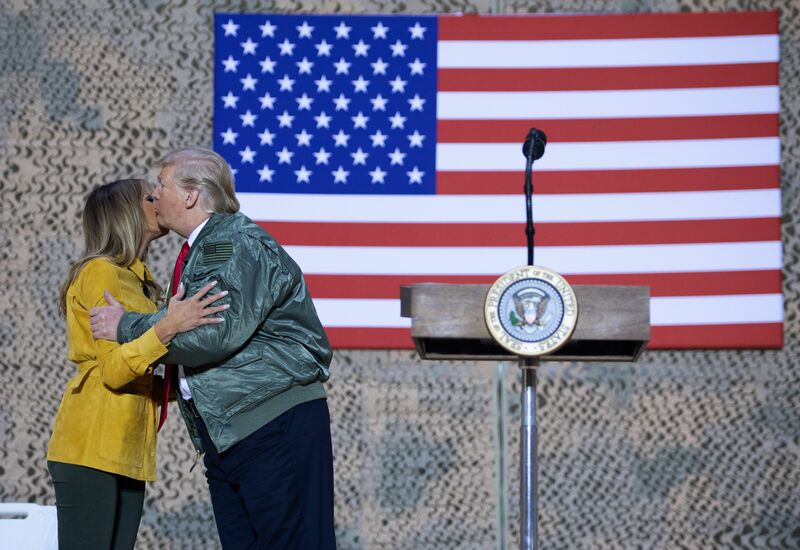 President Donald Trump and first lady Melania Trump arrived back in the U.S. Thursday after an unannounced overseas visit to American military troops stationed in Iraq. 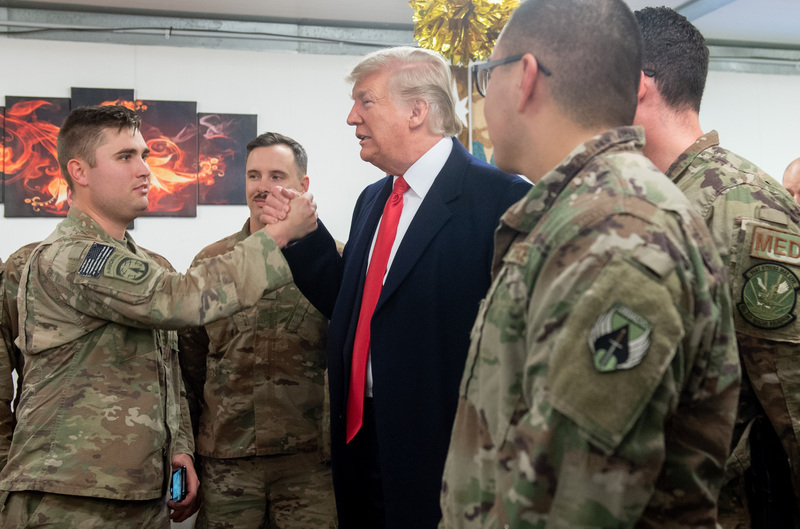 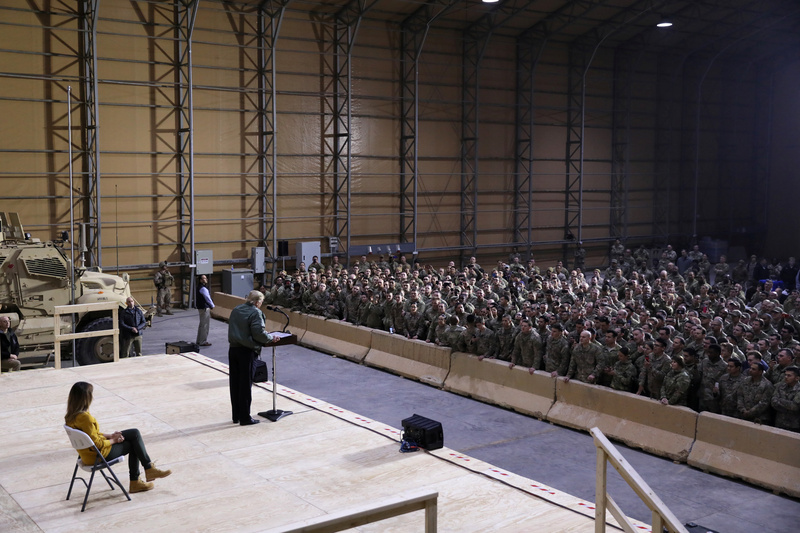 The president and first lady left for their first trip to a war zone late Christmas evening to “thank [the military] for their service, their success, and their sacrifice,” White House Press Secretary Sarah Huckabee Sanders announced. 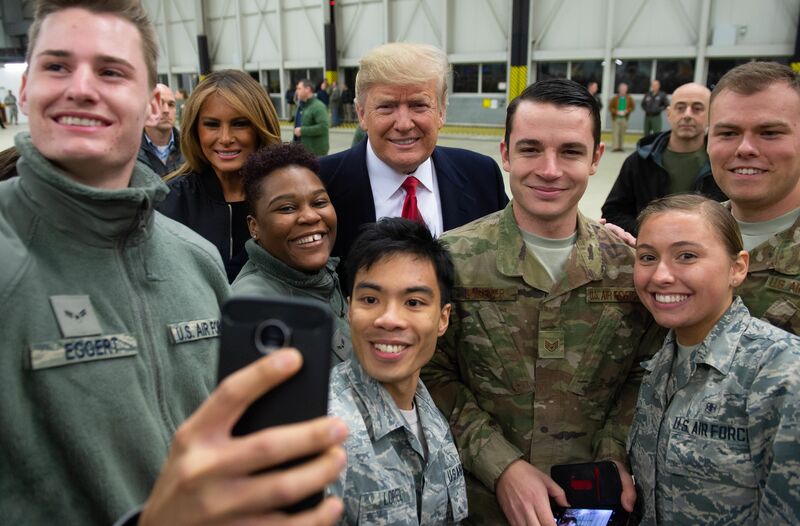 Nearly 100 service members greeted the president and first lady Wednesday, many sporting the infamous red “Make America Great Again” caps.